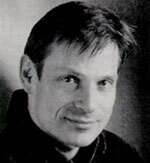 Simon Keenlyside was born in London. His roles include Posa (Vienna, Munich, Madrid, Royal Opera), Hamlet (Geneva, Royal Opera, Barcelona), Pelléas (San Francisco, Geneva, Madrid, Paris, Salzburg, Royal Opera), Count Almaviva (La Scala, Royal Opera, Vienna, Munich, Metropolitan Opera), Papageno (Scottish Opera, Paris, La Scala, Metropolitan Opera, Salzburg Festival, Royal Opera, Vienna), Billy Budd (Royal Opera, Vienna, ENO), Don Giovanni (Brussels, Ferrara, Zurich, Royal Opera, Vienna, Tokyo, Barcelona),Wozzeck (Paris) and Macbeth (Vienna). Simon enjoys extensive concert work and has sung under the baton of many of the world’s leading conductors, appearing with the Chamber Orchestra of Europe, the Berlin Philharmonic, the City of Birmingham and London Symphony Orchestras, the Philharmonia, the Cleveland Orchestra, and the Vienna Philharmonic to mention a few. He has recorded four recital discs with Malcolm Martineau, of Schubert, Strauss, Brahms, and an English song disc, Songs of War, as well as a disc of Schumann Lieder with Graham Johnson. 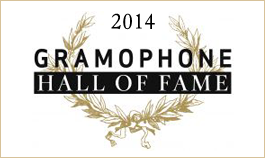 In 2007 he was given the ECHO Klassik award for Male Singer of the Year, and in 2011, he was honoured with Musical America’s Vocalist of the Year Award. Simon was made a CBE in 2003.